Current dentistry offers many possibilities for treating defects in diseased teeth. Instead of amalgam, fillings made of modern resins or ceramics are used nowadays, some of which are produced in dental laboratories. 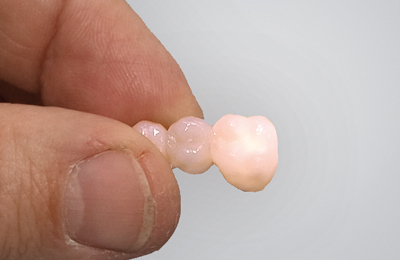 The aim is to reproduce the natural shape, colour and structure of a healthy tooth. Advanced treatment techniques and modern materials enable practically invisible, tooth-coloured fillings in any colour, shape and size. The choice of materials depends on your aesthetic requirements and medical functions.